In 2016, MLB owners spent approximately $4 billion on approximately 1065 WARP produced by both batters and pitchers. While the common market assumption prices one additional win above replacement at $7 million on the free market, the vast majority of MLB contracts are not signed on the free market, which drives the cost of WARP down to approximately $3.8 million per additional win above replacement. Within this pricing regime, the Brewers’ 2016 and 2017 cash savings of $80 million to $120 million could purchase approximately 20-30 additional WARP. Of course, “the Brewers are rebuilding,” so why would they want to win? Throwing aside questions of motivation (ex., a team obviously does not “tank” to grab a fifth pick that can net a player like Corey Ray), these numbers provide a true baseline of what the Brewers have surrendered; when the pricing is all said and done, and the WARP is translated into wins, the Brewers have sacrificed a significant number of wins over the 2016 and 2017 seasons. 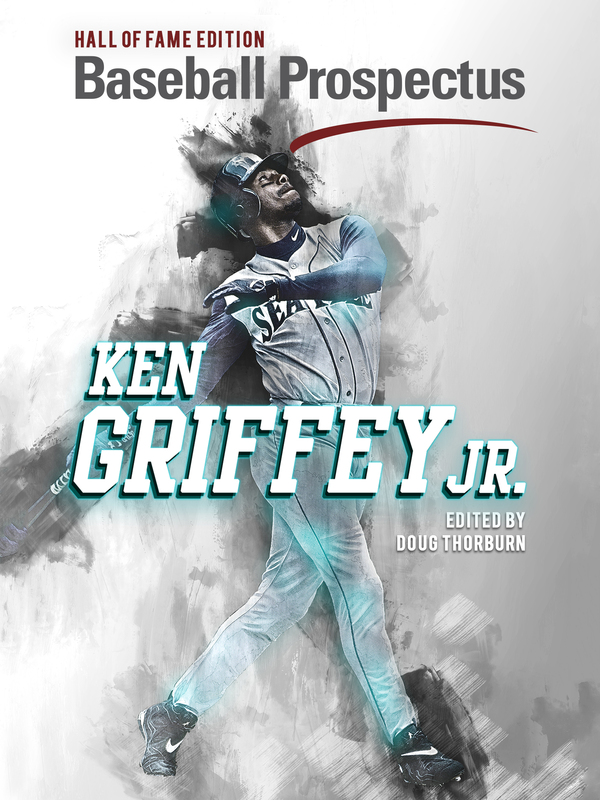 (1) MLB surplus value can be calculated by depreciating WARP against a player’s contractual status (I depreciate a player’s WARP to 70 percent of its three-year production range, and then judge that against control years and contract [if that player has a guaranteed contract]. Non-guaranteed contracts are assumed to be cost-free for MLB clubs because a reserved or arbitration-level player can be released at no cost). Of course, there is reason to believe that actual MLB teams do not always work to equilibrium in trade, and that MLB teams may assess players at their current (or higher) value instead of a depreciated value. This example should show why something as seemingly straightforward as trading Ryan Braun would be so difficult; the veteran is worth anywhere from one 55 OFP or two 50 OFP prospects to one 65-75 OFP prospect or two 55 OFP prospects; that’s like the difference between trading for Cody Bellinger and Jose de Leon or trading for Brian Reynolds and Ty Blach. Or even why trading for someone like Yasiel Puig is not a clearly defined value play whatsoever. 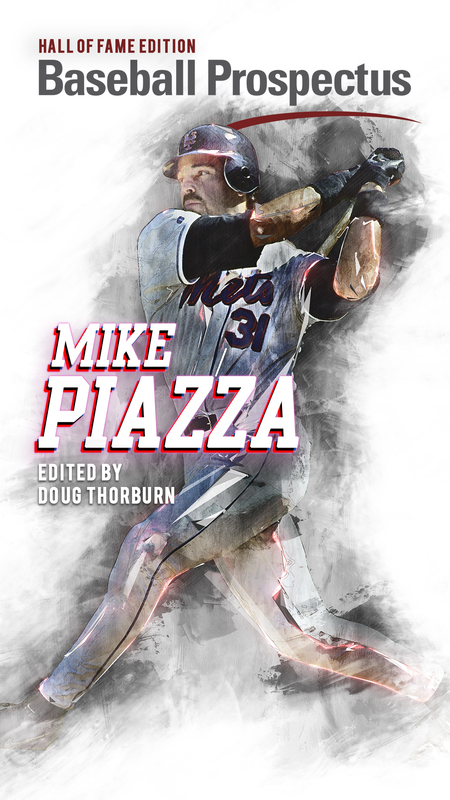 (2) Minor league surplus value can be calculated by judging the full range of Wins Above Replacement produced in all of MLB history, and then depreciating that level of production by the odds that a player will make the MLB. For my purposes, I do not use individual risk assessments, but rather depreciated historical OFP categories to 20 percent of their monetary value (on the assumption that roughly 20 percent of minor league players will reach the MLB). Obviously, more complex models could be designed where individual risk could be assessed based on a player’s body type, mechanical approach, tools, draft class, minor league level, and bonus cost to the parent club (among other potential measurements). In this scenario, the Brewers rebuild is well behind the cash savings, which suggests that the rebuild has been either poorly executed or that rebuilding itself is simply not as valuable as cash (the Chicago Cubs, Los Angeles Dodgers, New York Yankees, St. Louis Cardinals, and San Francisco Giants would be among the teams that agree with this latter statement). Based on the day-of-trade, the Brewers rebuild is approximately $20 million to $60 million behind the club’s cash savings. One could conceivably combine these figures to suggest that the minor league assets and stored up cash are worth roughly 52 future WARP. But this is an entirely meaningless figure; for, when will that WARP be cashed out? Will the cash actually be spent on the MLB club? If the current minor league surplus value is not effectively developed by David Stearns and the Brewers organization, and Mark Attanasio and the Ownership Board pocket the cash, the rebuilding will be worth considerably fewer WARP. Of course, one problem with the first model is that these trades did not appear in a vacuum, but instead occurred within the context of a league in which players can be developed, re-signed, and traded. Looking at how the Brewers players traded performed, and how development shifted for Brewers prospects, the Brewers rebuild has produced a much greater surplus total. This chart should resonate with several areas Brewers fan intuition. Milwaukee’s trade of Khris Davis looked great on the day of the trade, but after a fantastic year by Khrush and a year in which Jacob Nottingham’s prospect status was downgraded, the trade has significantly cost the Brewers. Of course, this is not the be-all, end-all of the trade; if Davis performs below his 2016 level, and Nottingham takes a step forward in 2017, the trade could swing in favor of Milwaukee. The same must be said of the currently fantastic looking trades atop this list: if Luis Ortiz, Lewis Brinson, Brett Phillips, and/or Josh Hader either fail to reach the MLB or reach the MLB closer to their floor than their respective ceilings, the value of these trades will plummet. Finally, Jonathan Villar was a steal on the day of that trade, and the flexible power/speed/discipline infielder’s surplus added shows why an extension of $20 million is laughable from the MLB front office; if the Brewers split their surplus value with Villar, a reasonable extension offer starts at $38 million (and I gather that anyone who suggests that Villar simply spit on that and take the $20 million has never produced nearly $80 million in value for an organization). 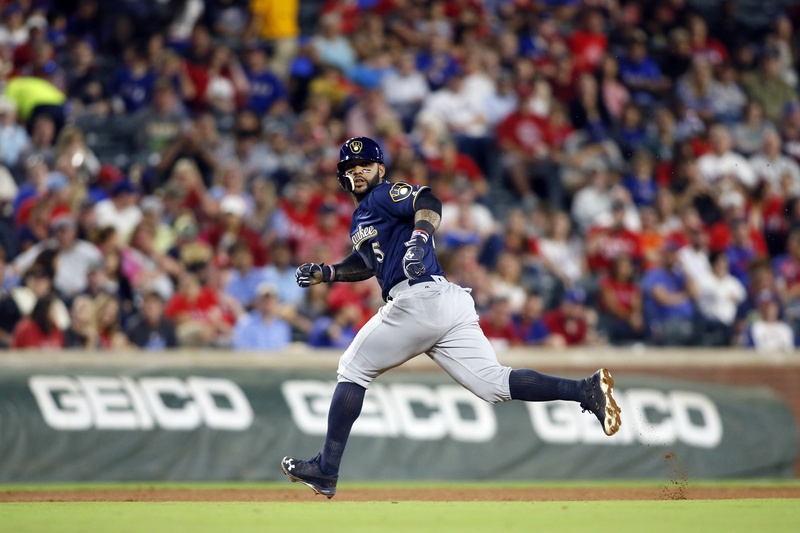 It should go without saying that Jonathan Villar is by far the most valuable player in the Brewers system, the certain MVP of the rebuild, and obviously any extension offer should reflect that. The good news is, thus far the players that Milwaukee returned in these trades have appreciated in value for the club. For losing Rymer Liriano, Hader and Brinson both improved their respective prospect assessments while in Milwaukee’s organization; Nottingham does not rank as highly as he did when he was traded, but he’s still worth between three-and-six wins for Milwaukee (in terms of surplus value). The Will Smith trade appears to be the only true blemish on David Stearns’s trade record thus far, as the trade lost value for Milwaukee on the day it happened and the players returned have yet to appreciate in value. However, with a catcher’s job wide open in 2017, perhaps Andrew Susac can prove that assessment wrong. At the top of the list, the Jason Rogers trade is probably the most likely to decline in value as the Brewers determine whether Keon Broxton will have a starting job or a bench job, and the prospects returned in the Carlos Gomez / Mike Fiers deal are quite risky for all their surplus value. At this point, perhaps the most intriguing value play are the righties returned for Adam Lind, who are entering their range of potential breakout seasons as they advance in the Brewers system. Adding in approximately $35 million in unchanged surplus value from the Thornburg, Maldonado+, Broxton, and Hill trades, the Brewers turned roughly $270.3 million in organizational assets into $433.7 million in organizational assets. This progression must be weighed against the players traded away; in the chart that tracks shifts in value above, it is worth mentioning that the players involved in those ten trades now provide at least $231.4 million in surplus, which is quite solid given that several reserve / arbitration players lost a year of control (which significantly eats into value). It must be emphasized that 2017 production from Davis, Fiers, Jeffress, Lucroy, Smith, etc., could significantly increase any valuation of these trades. Ultimately, the Brewers trades look quite solid, as a relatively stable set of Brewers organizational assets turned into $163.4 million in surplus value and another $80-to-$120 million in cash; together, there are as many as 75 WARP in this combination of cash and ballplayers. In terms of value, Jonathan Villar crushes all comers, as the infielder is worth nearly 18percent of the organization’s surplus value acquired in these trades; Lewis Brinson is next, claiming 15 percent of the organization’s surplus value from these trades. This progression of analysis should show the volatility of rebuilding, and also show that the statement “the Brewers must cash out these prospects’ surplus value at exactly the right time” is not a mundane truism but rather a crucial truth. Given that player surplus value can fluctuate wildly from season to season, failing to execute a win-now trade at the right time, failing to promote a prospect to an MLB at the right time, and failing to develop potentially valuable but risky prospects loom as serious challenges for a rebuilding club. Thus the rebuild is indeed over in Milwaukee, and it is certainly true that the merits of the club’s rebuild will now be assessed on the ability of the front office to either develop or trade these prospects.